Many wonders have been occurring in our surroundings. Many surprising facts can be seen in real-time when clearly observed the things before us. Plants are very much truly special in being wonderful among such wonders. Let us know about two special species of plants. Rafelsia plant belongs to parasitic species. It depends on the other plants for living. This plant don’t have roots, stem and leaves. Only a big sized flower and starting bulge at bottom is visible to us. Flower has width of one meter. It weighs ten kilograms. 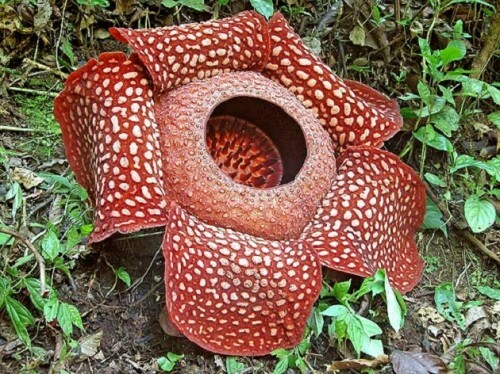 This flower spreads the smell of boiled flesh flavor. Due to the smell, many insects are attracted to it. And the flower eats away the insects.